A collapse of this Cold War–era arms treaty, which many believe has favored the United States, could unleash a new age of nuclear weapons competition. The INF Treaty, sealed in the waning days of the Soviet Union in 1987, bans ground-launched missiles with a range between 500 and 5,500 kilometers. The Trump administration announced last October that, because of Russian violations dating back several years, it was planning to pull the United States from the pact. Secretary of State Mike Pompeo has since said the United States will begin to suspend its treaty obligations in early February unless Russia comes back into compliance. If nothing changes, the United States could withdraw in August after a six-month grace period. Both the Obama and Trump administrations, as well as NATO leaders and most Western military analysts, have said Russia is in breach of the INF Treaty. Specifically, they say a certain cruise missile violates the pact, an allegation that Moscow denies. The Kremlin has countered that the United States is running afoul of the treaty with its missile defense systems in Europe. The United States has rejected those claims. Some experts say Russia is cheating for a simple reason: it can’t compete with the expensive U.S. arsenal at sea and in the air, where there are no restrictions on such missiles, so it must boost its firepower on land. “Russia’s armed forces are, at heart, an artillery and tank force with limited capacity to field cruise missiles on ships or submarines and a shrinking strategic bomber force,” writes Michael Kofman, an expert on the Russian military, in War on the Rocks. 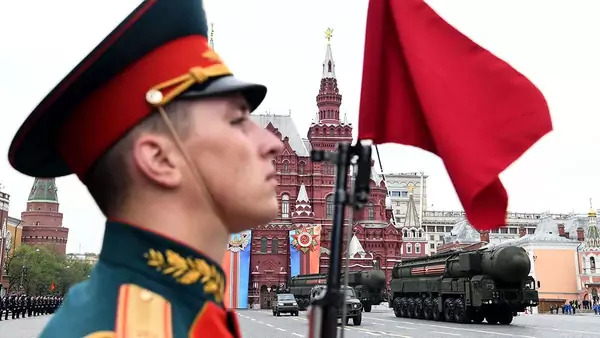 Like the United States, Russia is wary of other foreign powers, particularly China, that are unconstrained by the INF Treaty and growing their stockpiles of mid-range weapons. Some U.S. lawmakers and defense analysts support President Trump’s decision to pull the plug on the INF Treaty after years of alleged Russian cheating. If Russia’s not abiding, why should the United States—especially if the chief emerging U.S. rival, China, is busy expanding its arsenal? Others question a U.S. withdrawal at this time. For one, they say that leaving unilaterally would hand Moscow a symbolic political victory, particularly in light of the Trump administration’s other controversial foreign policy moves. They also claim that because the treaty continues to restrain Russia, it still provides disproportionate benefits to the United States as the world’s foremost naval power. Unlike Russia and other military powers, the United States doesn’t need these ground-launched weapons because it can strike targets from the air and sea, although at greater cost. Moreover, critics caution that in the days after the treaty’s collapse Russia could move quickly to install its missiles in the European theater and put NATO allies within striking distance. Meanwhile, it could take the United States years to establish parity; and deploying these weapons could spark major protests in some NATO countries, as it did in the early 1980s. Some arms experts have put forth options to try to save the INF. 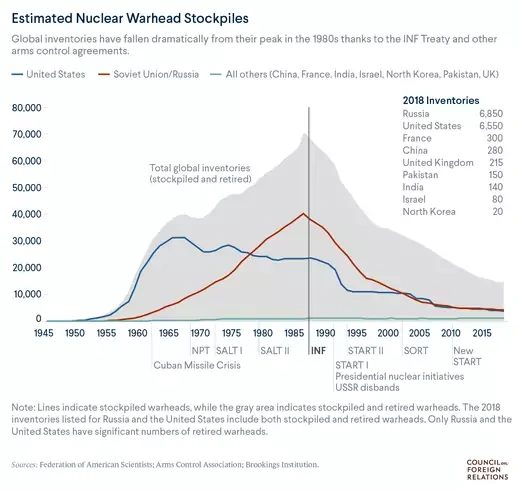 These include modifying inspection and verification arrangements, allowing the parties to deploy a limited number of mid-range missiles, and bringing China and others into the treaty, though many see these as unlikely. Whatever happens to the INF Treaty in the coming months, it will set the stage for U.S. talks with Russia about extending another monumental nuclear arms accord, the New START treaty, which is set to expire in 2021. Many arms control experts are gravely concerned about the prospect of a world without both the INF and New START, particularly given the backdrop of rising geopolitical tensions in parts of Europe and Asia. Without them, they warn, there’s little to prevent the breakout of an unrestricted and destabilizing nuclear arms race.